The first signs of an oversupply in the short-term rental market started to become evident in late 2018, with a rise in available properties and a drop in takings, according to data presented on Thursday at a conference in Athens, ekathimerini.com reports. 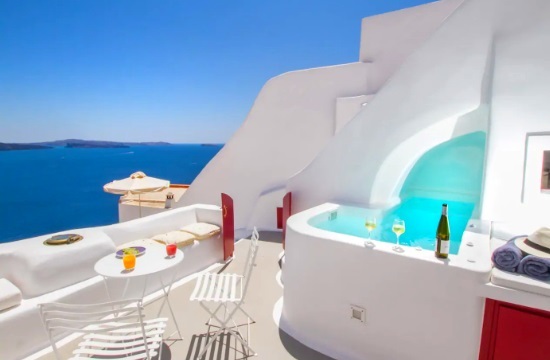 Active ads for Greek properties on online platforms such as Airbnb and HomeAway amounted to 72,144 at the end of 2018, a year-on-year increase of 21 percent. 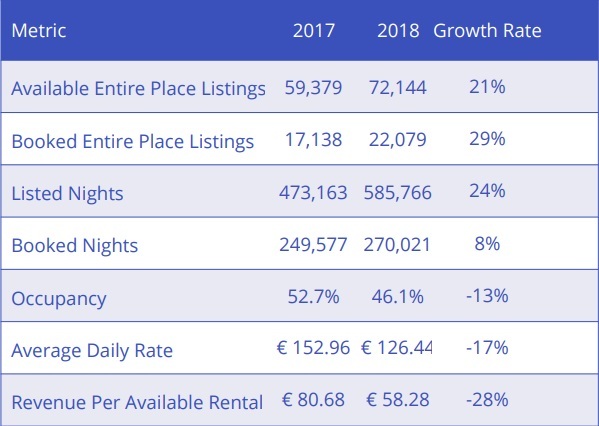 Nevertheless, average daily revenues fell by 17 percent to 126.4 euros, while the occupancy rate declined 13 percent year-on-year to 46 percent of all ads, from 52.7 percent in 2017. The above conclusions stem from a survey presented at the BnB Guest Conference in Athens on home-sharing by Tom Caton, chief revenue officer at AirDNA, a company that specializes in analyzing data from Airbnb and HomeAway, which have over 9 million ads for properties around the globe between them. Caton noted that Greece and Athens in particular remain a top destination for investments for those interested in getting involved in the sector. However, “it will now require much more professional management,” he said, as there is great competition, the supply rate is high and the requirements of guests keep increasing. Of course there are destinations in Greece where demand remains very high: Data indicate that the Ionian island of Lefkada was last year’s champion in revenue growth, recording an increase of 167 percent, followed by Ermionida in the eastern Peloponnese (the region including Porto Heli, Ermioni etc). Corfu was third with a 73 percent increase, ahead of Glyfada, southern Athens, which was up 45 percent, and the Cycladic island of Tinos, up 42 percent. The Athens market is now dominated by professional owners/managers of properties as investors or companies with two more more properties listed accounted for more than 54 percent of ads.